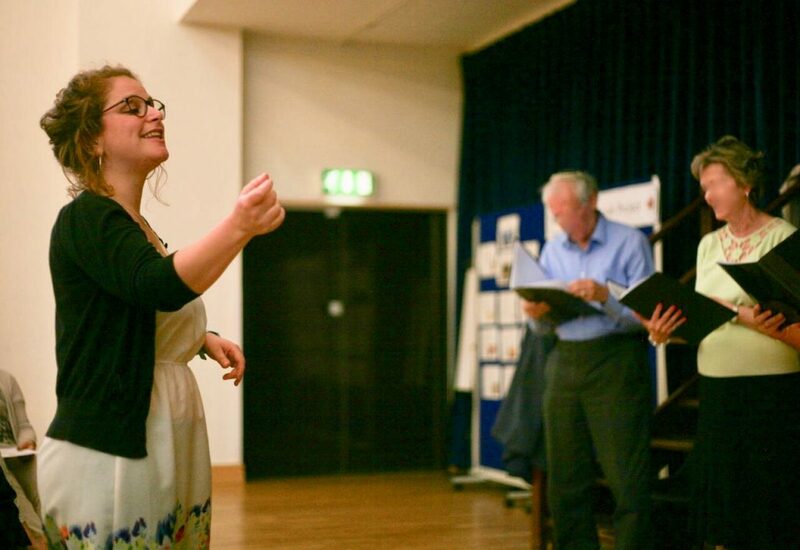 Companion Voices is a group who learn songs to sing at the bedside of people in the final stages of life. Monthly Winter/Spring sessions are led by Rachel Weston, a singer, composer, choir leader and Natural Voice Practitioners’ Network member. Songs are chosen to create a soundscape that is reassuring, relaxing and undemanding. The repertoire is simple and repetitive, drawn from a wide range of different traditions, and may have words in languages unknown to the recipient. The group is taught how to sing these songs but also to respond intuitively, perhaps improvising, taking the volume up or down, tapering to a single voice, hum, or something else that seems appropriate in the moment. The main purpose of the singing is to allow the recipient to progress forward knowing they are not alone. It can also help any friends or family nearby to connect, express feelings and feel a sense of relief in a deeply challenging situation. At any time, people who would like to have singing at their own or a friend or family member’s bedside can contact their local group and arrange for a small number – usually between two and four people – to come and sing. This may take place in a family home, residential home, hospital, hospice, or wherever the person happens to be. Companion Voices provide their singing support for free, but if people want to make a donation they are welcome to do so. FRS are generously hosting us for these sessions to which we are extremely grateful.